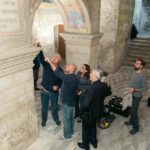 On October 31, 2018, the first experimentation of the “Great” plant for environmental rehabilitation was officially opened within the Crypt of the Church of S. Agnese in Agone. Air renewal only during the day. 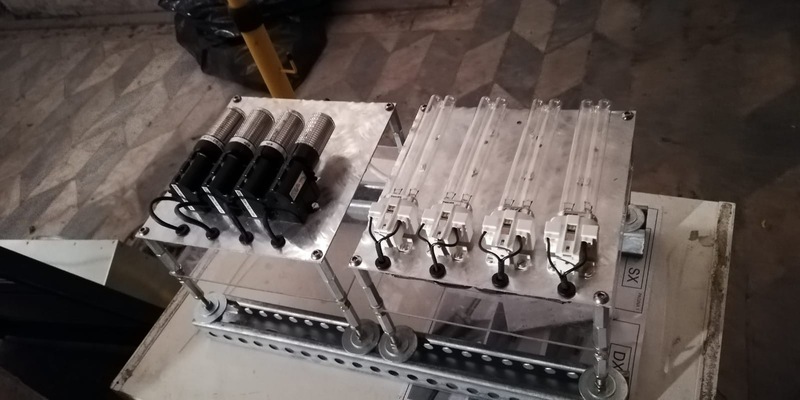 Finally, the sensors for monitoring the temperature and relative humidity have been configured and set up appropriately and the CNT system has been installed to avoid the capillary rise of water. 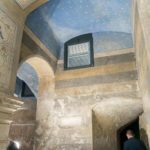 Once these activities were completed, the door of the Crypt was closed and the seals were applied in the presence of CNR-IREA, CNR-IMC, RIELCO, MIBACT and of the Rector of Santa Agnese. 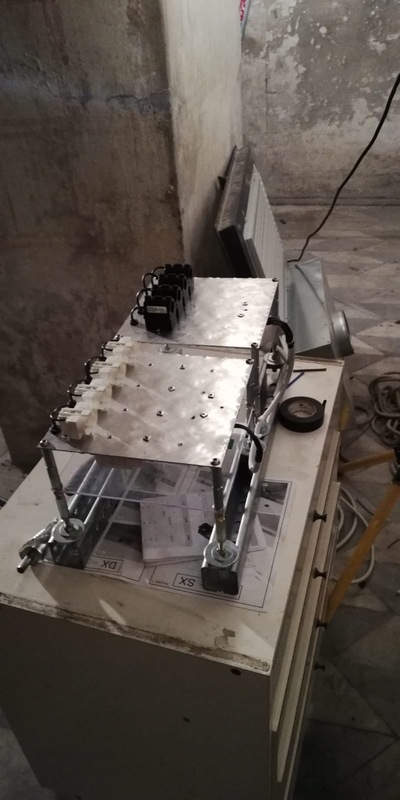 The CNR will carry out periodic control analyzes to evaluate the actual functioning of the machinery, and to optimize it in relation to the results of the analyzes, in agreement with the MIBACT (Ministry for Cultural Assets and Activities). 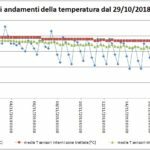 Istallazione del sistema di sanificazione basato sull’uso di un plasma freddo in fase gassosa, che se immesso nell’ambiente insieme all’aria è in grado di ridurre composti organici volatili (VOC), particolato atmosferico e molte varietà di virus, batteri, muffe e funghi. 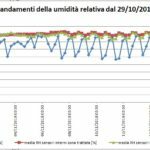 Sistema di sanificazione basato sull’uso di un plasma freddo in fase gassosa, che se immesso nell’ambiente insieme all’aria è in grado di ridurre composti organici volatili (VOC), particolato atmosferico e molte varietà di virus, batteri, muffe e funghi. 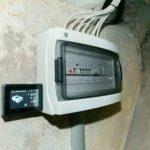 Sistemi CNT (Charge Neutralization Technology) di neutralizzazione delle cariche elettriche dell’acqua presenti sul pavimento a contatto con la muratura (per evitare la risalita capillare). Evaluate if there are thermohygrometric exchanges between environment and walls. March 2017 – Start on the recommendation of the Rector S. Ecc. Rev. Mons. 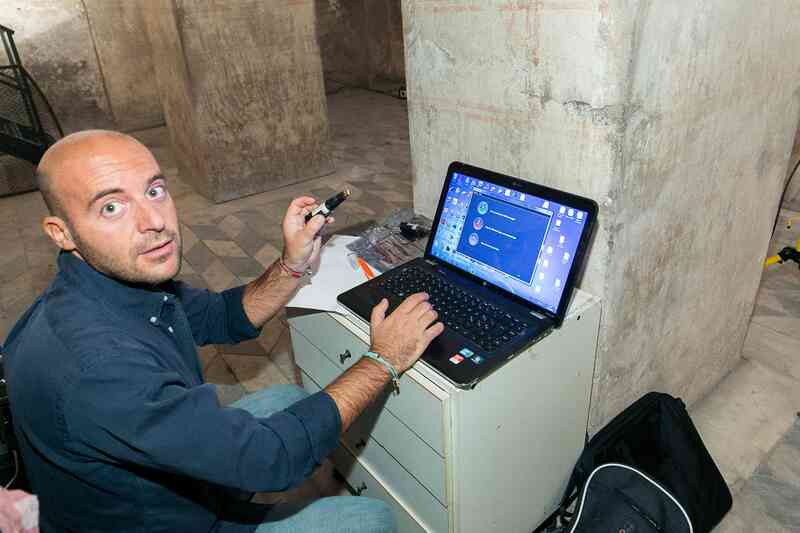 Paolo Schiavon of the Technical-Scientific-Pastoral Commission for the Restoration of the crypt of S. Agnese in Agone. 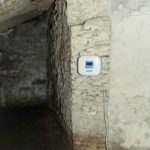 Georadar measurements for estimating the water present inside the walls and in surfaces. 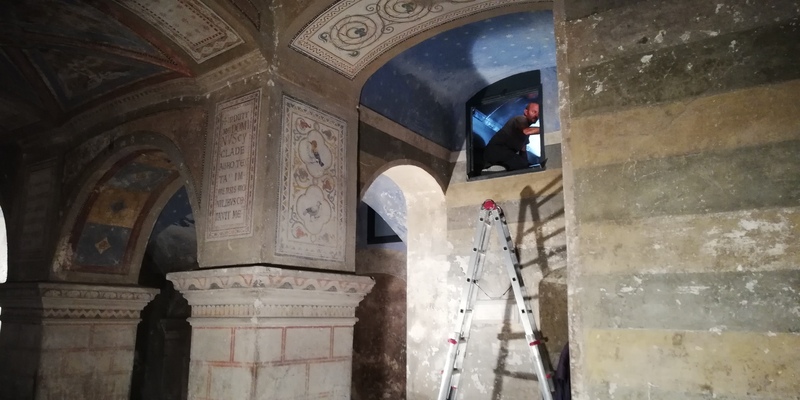 Conclusions and suggestion of how to proceed with the rehabilitation and environmental conditioning of the crypt before proceeding to the restoration of the frescoes on the indication of scientific results. 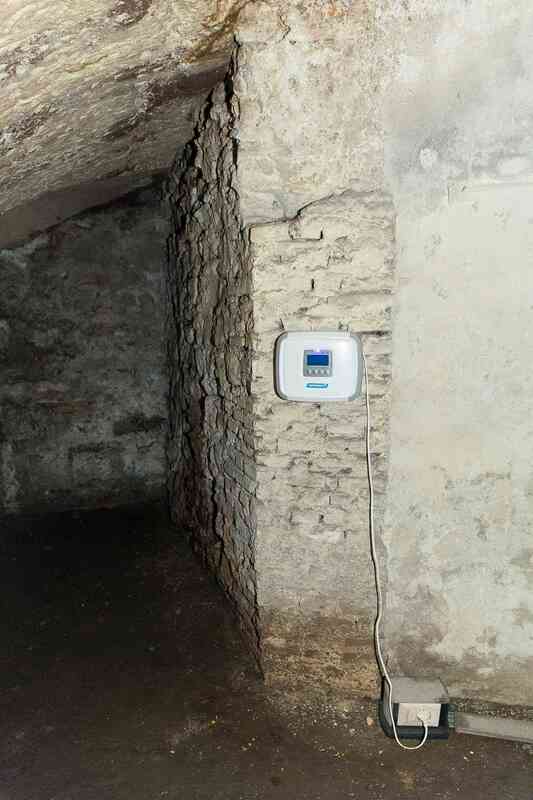 June 2017 – Meeting of the Restoration Commission for the presentation of the activities carried out and for the unanimous decision to proceed with the environmental rehabilitation of the Crypt as a priority. 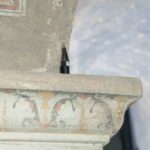 From July to October 2017 – Identification of the requisites required for environmental rehabilitation (confirmed by the Arch Gabriella Marchetti, the Arch. 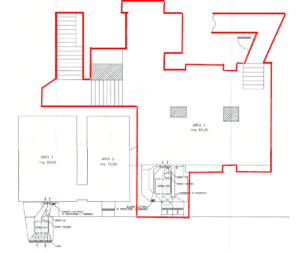 Barsottini (MIBACT) by the Architect Strinati (member and expert of the Restoration Commission) and requested from three potential suppliers technological solutions, timing and costs. 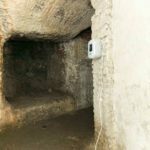 October 2017 – Meeting of the Restoration Commission for the decision to entrust the environmental rehabilitation of the Crypt to Rielco Impianti srl. 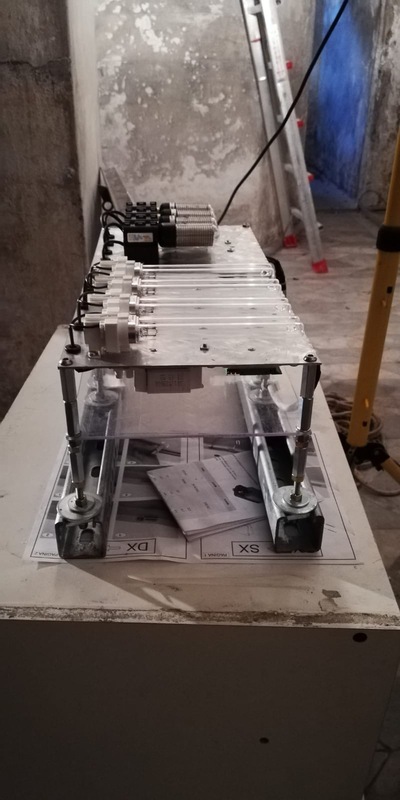 To protect the Rectory Church of S. Agnese, the CNR (as technical manager of the Rector) will follow from the scientific point of view, the environmental rehabilitation activity of Rielco. 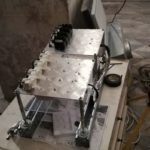 The CNR has suggested a two-year experimentation plan to verify the two plants installed in a scientific and rigorous manner, according to established methodologies of investigation in the field of scientific research. September 2018 – Installation of the Grande facility in the largest area of ​​the Crypt. 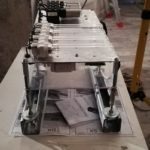 October 2018 – Start of experimentation. 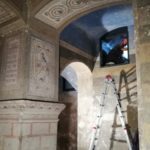 The activities for the renovation and restoration of the Crypt of Santa Agnese in Agone, during this first 9 months of 2018, has had as object a careful and detailed legal analysis, which led to the stipulation of 4 contracts: one with Rielco Impianti Co. Ltd., which will provide the implants for the environmental rehabilitation of the Crypt’s spaces, and another two contracts with two different institutes of CNR (National Research Council) which will have to verify both the efficiency of those plants and the fulfilment of their performance conditions. The last contract has been stipulated with the Engineer whom will provide to coordinate the Security in course of performance. 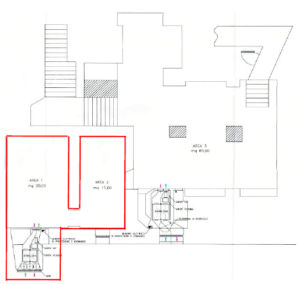 This activity was led with the assistance of Luigi Maniscalco, lawyer (Lucente International Lawyers), whom – together with engineer Luca Mazzola, for the technical part – is taking care of the interests and the contractual position of the Rectory of Santa Agnese in Agone. This delicate step of drawing-up and analysis of contracts, is finished at the end of July with the stipulation of the contract necessary to rule the contractual relationship between the parts. During the first half of September the rehabilitation plants have been installed, to the presence of the representatives of CNR’s institutes and of the representatives of Superintendence of Arts. 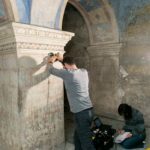 All the operations have the objective of guarantee the environmental rehabilitation of Crypt’s spaces, in order to protect it as an asset of cultural and historical interest. 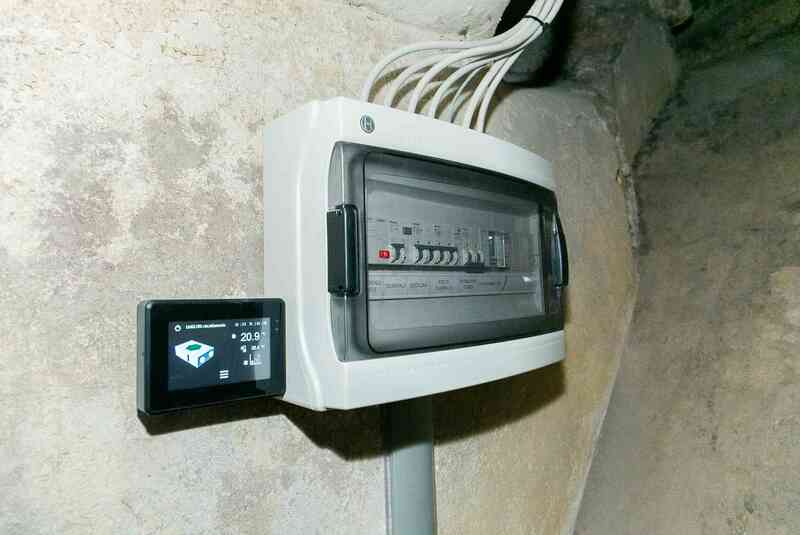 Installation of the first implant in the big area by Rielco. Verification of the performance indexes (of environment and walls) before the CNR’s experimentation. Start up of the implant. Verification of the performance indexes (of environment and walls) during and after the CNR’s experimentation. Test of the big area’s implant. Installation of the implant in the two little areas by Rielco. Test of the little areas’s implant. Definitive putting into service of the implants. 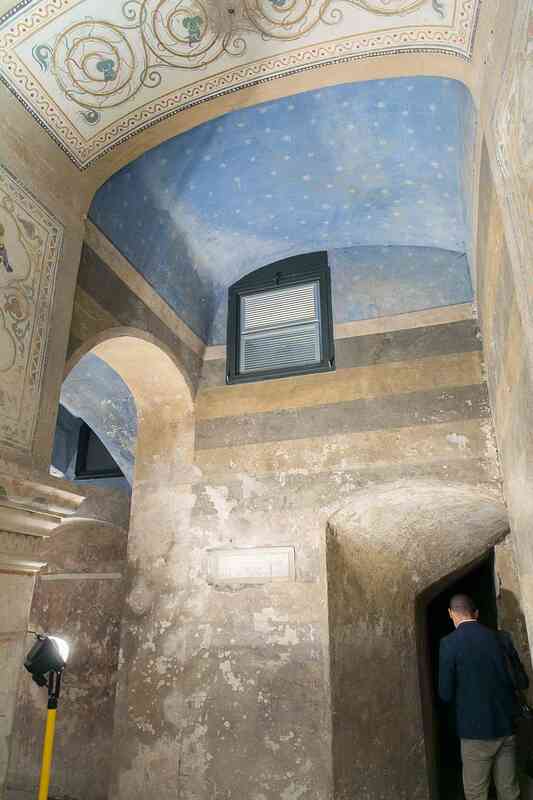 Start up of the visits into the rehabilitated Crypt in line with the established visitation protocol. Identification of funding and donation sources. Insufficient ventilation for the entire complex. Air purification systemsusing cold atmospheric plasma, i.e. 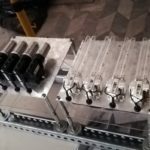 generation of plasma for reduction of organic volatile compounds, atmospheric particulates, viruses, bacteria, mould, fungi. 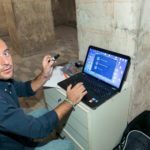 Engineer Mazzola reported that the analytical and feasibility studies had thus far been provided without charge by the EMASST, in their role as major sponsor for restoration and renewed use of the crypt of Saint Agnes. Proposal for first research stage. XRF (x-ray fluorescence) (non-destructive) – uses high-energy gamma and x-ray irradiation for identification of types and quantities of atoms, which serves for further identification of moulds, bacteria, etc. (does not provide information on how the atoms are bound, i.e. information on molecular or crystalline structures). 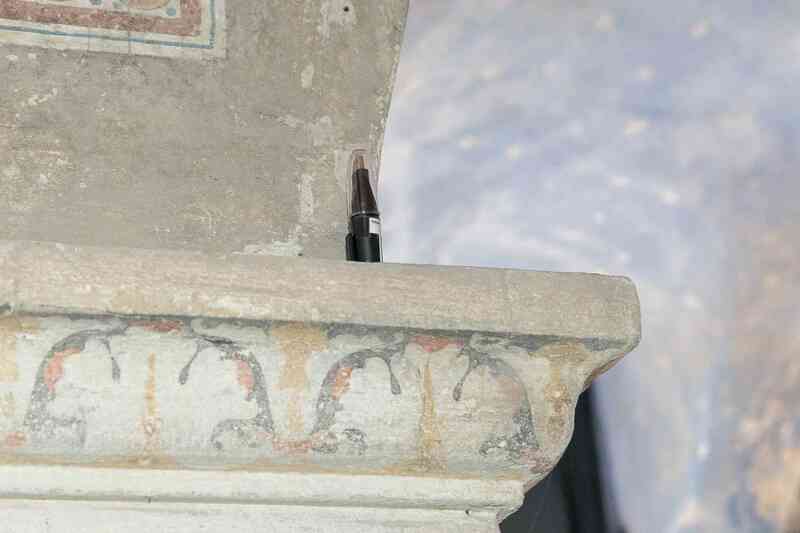 Objective: identification of pigments compatible with the original materials of fresco execution. 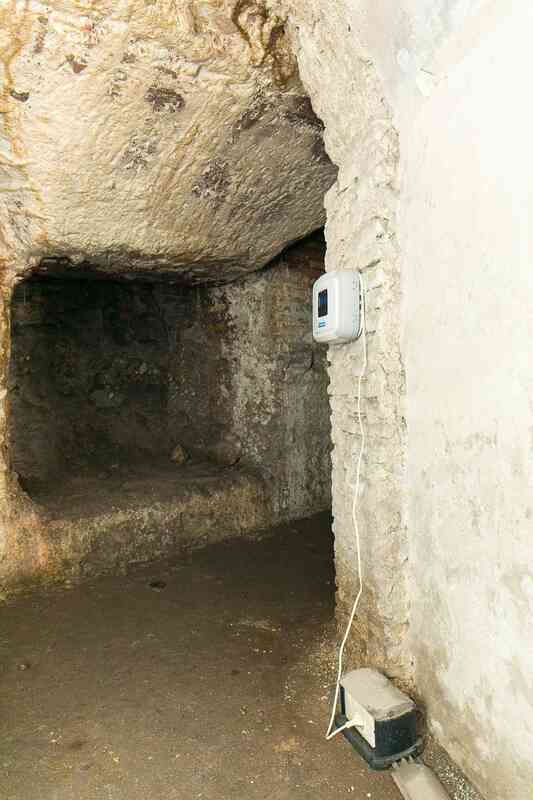 Analysis of subsurface damage (within the depth of the fresco structures) and between the fresco and wall structures. Recommendation of multifunctional nano-materials for use as protectants and consolidants.